Women and men have differing considerations when it comes to long-term financial goals. For instance, because of a woman’s average longer life span, your needs may be significantly different from those of your spouse or others. Does your financial strategy fit your lifestyle and needs? 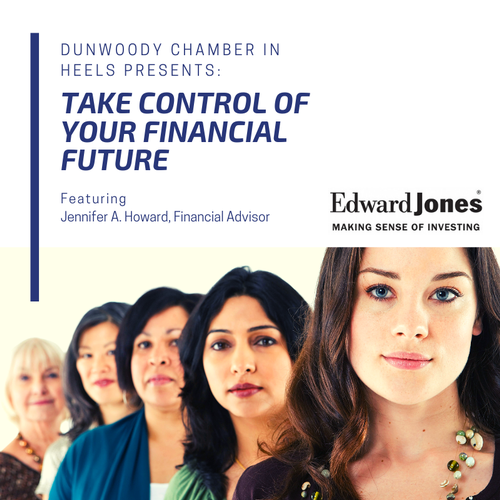 Join us for an informative Dunwoody Chamber in Heels luncheon, featuring Edward Jones's Jennifer A. Howard-Financial Advisor, on May 1, 2019, at Vino Venue at 11:30 a.m. to learn more as we explore five critical money questions for women. As a local Dunwoody businessowner & resident, Howard is also passionate about promoting local business development. She served as a charter & former board member of the Dunwoody Perimeter Chamber of Commerce. 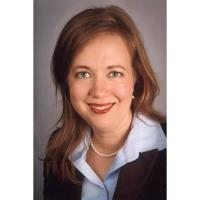 She received the Oustanding Service Award from the Project Management Institute for her volunteer efforts, and she is deeply involved in the Technology Association of Georgia and Women in Technology. During the event, attendees will have the opportunity to network, hear from our speaker, and enjoy a buffet-styled luncheon catered by Vino Venue.